In 1992, a single male sockeye salmon managed to swim 900 miles from the mouth of the Columbia River to Redfish Lake in Idaho's Sawtooth Mountains, the end of his migratory journey. Biologists dubbed the sole survivor, "Lonesome Larry." By 2010, the Northwest Power and Conservation Council happily reported record-setting runs for sockeye -- nearly 387,000 had climbed the fish ladders at Bonneville Dam. The numbers, which fluctuate annually, stand at 186,000 this year. 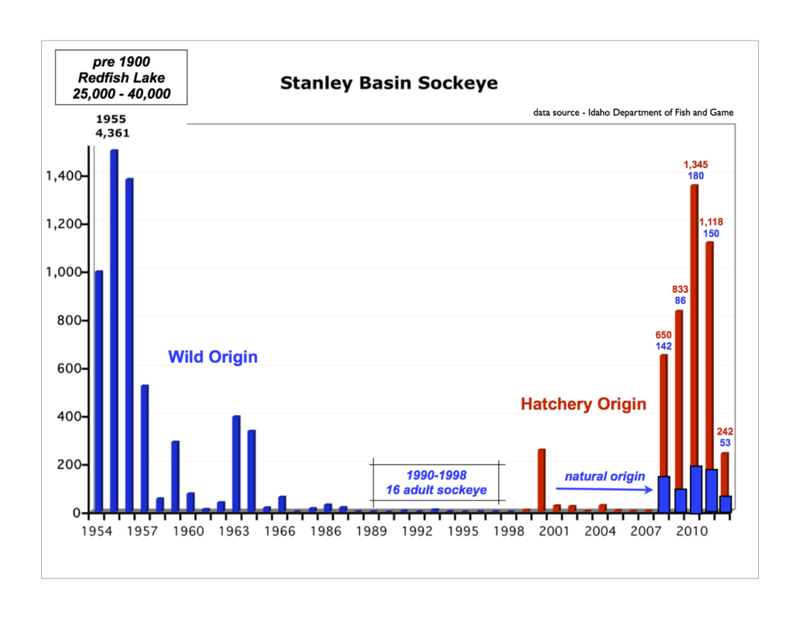 The resurgence of the sockeye is not unique. As of Oct. 9, more than one million Chinook entered the mouth of the Columbia River, crushing the old record of 400,000. As of last week, they were coming in at 500-800 per day. This is the largest return of fall Chinook since fish counting began at Bonneville Dam back in 1939. Even sweeter, four of the five highest returns of fall Chinook have occurred in the past decade. With all of this good news, what could possibly be wrong? Heck of a good question, yet activists continue to pursue a single goal: removal of the four lower Snake River dams. They insist that it's the only way to save the salmon. Northwest RiverPartners, a coalition of farmers, barge operators, utility customers and other river users, wants people to consider the facts. Taxpayers have spent more than $1.6 billion over the past dozen years to retrofit dams in our federal hydro system with new fish passage technologies that are getting young fish through the dams at very high rates of survival. Even though we in Washington get 75 percent of our electricity from hydropower, hydro operations also have been radically changed. At critical times, water is "spilled" through the dams to help salmon migrate downstream, which means we are generating much less clean renewable energy. The states and tribes are halfway through implementing a $1 billion habitat restoration program on major tributaries to the Columbia and Snake rivers that is improving habitat for salmon rearing and spawning. That this has all been accomplished in just a few years can be attributed both to the effectiveness of the plan and the collaborative way in which it is being implemented. Extremists ignore this remarkable success, vowing not to stop until the Columbia and its tributaries are free-flowing. They blithely dismiss concerns about flood control, river commerce, irrigation and power generation. For them, it is not a matter of balance: It is winner-take-all. Never mind the 7.8 million acres of irrigated land in the Columbia Basin that allows farmers to feed the Northwest and the world. The Northwest is the third largest grain exporter in the world and the number one wheat and barley exporter in the USA. Much of that grain is barged down the Snake and Columbia rivers. Never mind that more than $20 billion worth of cargo is shipped annually down the Columbia and Snake rivers and hydro operations saved Portland from an estimated $3.2 billion in additional flood damage in 1996. Never mind that Northwest families and businesses have spent more than $12 billion in higher electric bills over the past 30 years for fish and wildlife protection and mitigation measures. In recent years, fish and wildlife costs equal about one-third of total Bonneville Power Administration costs. There are more fish in the Columbia River today than at any time since the first dam was built at Bonneville in 1938. Many are hatchery fish, but wild populations are trending upward as well. Lonesome Larry isn't lonesome anymore. It's time to stop the lawsuits and get on with fish management. Don Brunell is the president of the Association of Washington Business. Formed in 1904, the Association of Washington Business is Washington's oldest and largest statewide business association, and includes more than 8,100 members representing 700,000 employees. AWB serves as both the state's chamber of commerce and the manufacturing and technology association. While its membership includes major employers like Boeing, Microsoft and Weyerhaeuser, 90 percent of AWB members employ fewer than 100 people. More than half of AWB's members employ fewer than 10.